Welcome to our weekly Five Minute Friday blog link-up! If you’re new, you can learn more about the link-up here. We’re running a huge giveaway now through April 7th, 2018 to celebrate the release of A Place to Land: A Story of Longing and Belonging! YOU can have a chance to win a ONE YEAR MEMBERSHIP to the Jerry B. Jenkins Writers Guild! That’s right . . . the same Jerry Jenkins who has written 190 books including 21 New York Times Bestsellers! How awesome is that, hey? 1) Purchase a copy of A Place to Land: A Story of Longing and Belonging from your favorite bookseller. 2) Visit www.katemotaung.com/bookbonus or fill out the form below including your receipt number for proof of purchase. Giveaway ends April 7th, 2018 at 11:59pm PST. International winners eligible for Prize Pack #1 only. Winners of Prize Pack #2 and Prize Pack #3 must have a U.S. mailing address. If you can’t see the entry form below, click here to view in a separate tab. Have you seen this giveaway? Enter to win one of three prize packs from @k8motaung. Next week Thursday, March 29th, I’ll be streaming my Book Launch Party live from Baker Book House in Grand Rapids, Michigan, starting at 7pm EST. Head over to my Facebook page at fb.me/katemotaungwriter to join the fun! Secondly, there is still a bit of time to register for the Festival of Faith & Writing, happening at Calvin College in Grand Rapids, Michigan from April 12-14, 2018. Registration closes April 1st, so hurry up! We’re also offering a group discount through Five Minute Friday if you’re interested in attending. Sign up here to access the FMF Group Discount code for the Festival of Faith & Writing before April 1st. Okay, it’s time to write! 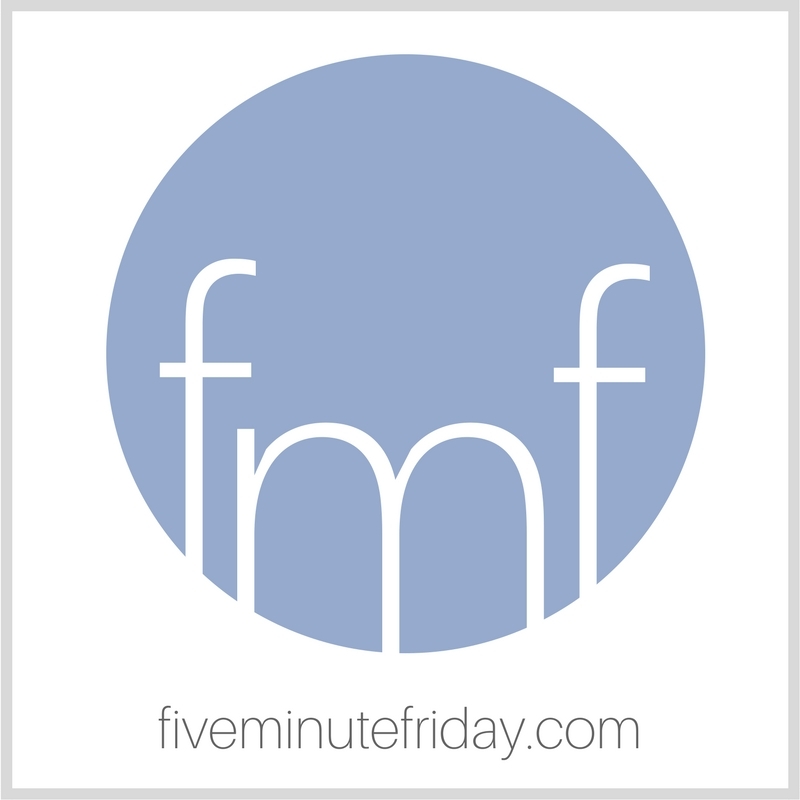 Join @5minutefriday as we write for five minutes flat on the prompt, ROUTINE. I feel like there’s a common theme that keeps creeping into my Five Minute Friday posts almost every week . . . the constant struggle of being too busy. But the biggest thing that keeps nagging at my insides is that much of this busyness is self-inflicted, you know? We’re doing this to ourselves. My husband keeps threatening in jest to pull the kids out of school, sell all of our possessions, and buy an RV to travel around the U.S. and homeschool for at least a year. 🙂 He says that way we won’t be so busy all the time, plus we would get to see some pretty amazing places . . .
How do you break the busy cycle in your own life? Do you have certain safeguards in place to ensure that you maintain some semblance of balance? Do you have specific criteria to help you determine what you say “yes” to and which tasks or requests get an automatic “no”? I’m reminded of a talk I heard a while back, about the importance of asking God every day to reveal what He wants us to accomplish that day. Let’s ask the Lord to establish the work of our hands, amen? ** Updated to add: I wrote the above post on Thursday afternoon and scheduled it to go live while I was at my kids’ school function because, well, as I said, we’re busy. But I just have to share what God did for me at the school function. Join the link-up with your own five minute free write below, and don’t forget to ENTER THE GIVEAWAY HERE. Kate – thank you for sharing the song! It is beautiful! “Come & rest at My feet” Yes, a much needed invitation and perfect as we enter this Easter week. (sigh) That word alone always helps me to relax. I’m so glad you got that moment to be in the presence of God. I agree with Kasigo. Go RV and write about it. Enjoyed the Breathe song that you shared. After staying with my daughter and her 3 children I am reminded of the season with young children and it’s busy-ness. Starting the day with prayer helps. BTW I have started reading your book and I am totally engaged! I like this idea of “breaking busy”. I am currently trying to break being “all over the place” going from diapers and reading a book to my toddler to doing dishes to writing part of a blog post…I need a routine or more of a structure of what to do when during the day…its hard to find balance! Kate- great post and it is so true- we do it (busyness) to ourselves. Regarding your husband’s idea, not bad, actually 😉 . . . Thank you for hosting this prompt, dear Kate. I enjoy your article. I make time to relax from my projects routine. I have a very busy schedule and I enjoy staying busy. To me it is important to set aside time to be still. At my age and without children at home, I find easier to take a mental vacation from my busyness and community outreach projects. That is the most important part of my routine. Routine in chaos and unpredicted health crisis is a must. One is mostly slung into a routine. Not really a chosen routine but more inflicted, both the terminally ill and caregiver(s). So how do I say no to all the things that could push their way ahead of my responsibiliies. Actually, I was trained very well by my parents. As a kid I thought they were stingy, but they were training themselves and their children along the way. First: if the activity is a drain on your monthly resources. Don’t Do it. Resources are money, time, personal rejuvenation of yourself & family. Second, If you did something similar requiring time commitment and failed being consistent. Don’t Do It. Third, does the activity have lasting life benefits. Is the activity another selfish want but not a life giving need. Don’t Do It. Fourth, if you have doubts or feel uncomfortable after answering 1-3 positively, then self examination is important. This one I learned on my own. As a natural introvert, public activity especially alone scares me. So I must ask myself, what are my other reasons for saying No? More times then none it’s my inner insecurity. I have a fella that totally sees thru my excuse facade and pushes my envelope, supporting me every fearful step. Sometimes the uncomfortable feeling is a God warning and also needs examination. Thank you for adding the song, It’s being shared. I actually know a family that did the RV/homeschool thing for a year. There were moments when they all wanted to kill each other, but overall the experience was one that they loved. Boundaries are difficult. I’m in a season of not really knowing what’s next – in writing, in ministry, in anything. I’m tempted to say “yes” to whatever comes up, but then I might miss whatever it is that God has for me. So I’m trying to be mentally and emotionally still, which I’m not good at in any way, because I know that’s the only way I’ll hear His voice.